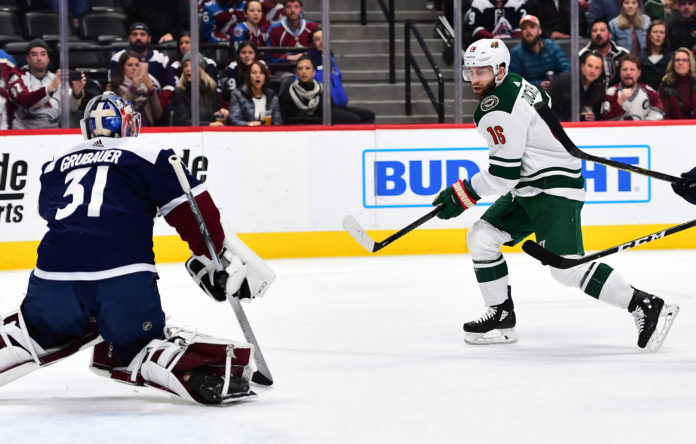 A strong start ended up meaning nothing for the Colorado Avalanche, who now head into the All Star break in the middle of a total meltdown following their 5-2 loss to the Minnesota Wild. Colorado now sits at just 52 points, and have several teams in the West chasing them. What did we learn from this loss? While it’s really hard to pin down any of those goals as Grubauer’s fault, the German goaltender put together another sub .900 save percentage evening. The Avs have not had consistently good goaltending for two months now and you have to wonder if the All Star break forces them to completely re-assess the situation in net, with them possibly turning to Pavel Francouz for help. Carl Soderberg picked up his 17th goal of the year, giving him a new career-high in goals with over two months left in the season. He’s been a stabilizing presence down the middle for the Avs all year, and has seen his goal production go up in the last two weeks since moving to the second line. While good penalty killing can create momentum for your team, a poor power play can completely destroy it. Coming off a 5-on-3 penalty kill that should have created some energy for the team, the Avs power play came out flat, looking completely stationary and failing to create any good looks. 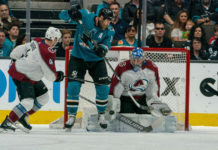 The Avs struggled the rest of the period, including giving up a goal in the final 30 seconds to really put them a hole. 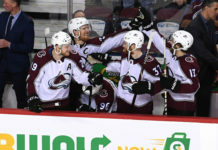 The Avalanche came out in the third period, and played about as poor a period as they have all year. They put themselves into another 5-on-3 penalty kill, and had no energy to come close to scoring. Devan Dubnyk didn’t have to make a difficult save the entire period as the Avs made it very easy on him. Considering the circumstances, it was an awful showing from the Avs. The Avs have now only won 6 of their last 23 games, and are the NHL’s worst team since the start of December. If you’re Joe Sakic, can you really assess this team as a playoff team with the way they’ve played? Even though they’re still in the race, the trade deadline could be an interesting one in Colorado. The Avs don’t hit the ice again until Saturday, Feb. 2 when they take on the Vancouver Canucks. The game starts at 8 p.m. MT.